Leadership is a part of life, whether it is leading yourself as an individual, leading teams or executive leadership of an organisation, the world moves forward as a result of individuals leading change. Here at Skill Hire we recognise the importance of providing leadership training to complement and further refine the existing skill set that is unique to each individual. As part of Skill Hire Leadership Training, we deliver both face to face and online training with an emphasis on providing a first class learner support experience ensuring you get the most from your training. Get in touch with Skill Hire to reach your full potential. The best leaders are the best learners, the diploma of leadership and management helps staff transition into positions of leadership with all the skills needed to succeed. Whether you are a team leader, a line manager, supervisor, business owner or a jobseeker looking for a career change, the Diploma of Leadership and Management will grow your leadership potential. This course covers everything you need to know about managing other people and making a business run smoothly. For those with a technical background, this will build soft skills required for positions of management, in learning how to assume personal responsibility while managing leadership as well as providing guidance and support to others, you will be able to reach your full potential as a qualified leader. This course can be delivered through our online facility or in a face-to-face environment, the course costs $2,949 and allows for flexible payment plans. Learn more about through our course guide or book below. Having qualifications doesn’t necessarily require you to have been a university graduate, some of the best learners perform their best while learning in the role. Whether you are a recent graduate, a job seeker or someone looking to take a new direction, a traineeship in Customer Engagement will unlock a number of doors and take your career to a number of places. As part of the customer engagement traineeship, Skill Hire offers two levels for the varied needs of each individual. The Certificate III in Customer Engagement (BSB30215) is a fantastic introductory traineeship into the word of customer engagement, this course builds the necessary skills to build strong relationships with customers. For individuals in a Supervisory role, the Certificate IV in Customer Engagement (BSB40315) will build skills in communication and interpersonal skills to undertake complex customer interactions. Please see each individual course guide as prices vary between the Certificate III and Certificate IV courses. Learn more about each course by downloading the relevant course guide or book below. Learning the fundamentals of Business will give you the necessary skills to succeed in the corporate world. Whether you are a recent graduate, a job seeker or someone looking to take a new direction, a traineeship in Business Administration will allow you to learn the fundamentals of life in the corporate world. Skill Hire offers a Certificate IV in Business Administration (BSB40515) which works to build a range of administrative skills and provides a broad knowledge for a wide variety of administrative contexts. This course can be delivered through our online facility or in a face-to-face environment, the course costs $2,449 and allows for flexible payment plans. Traineeships are available in Work Health and Safety, for more information on this tailored traineeship, please contact our team below. For those wanting to start a career specialised in Work Health and Safety. Skill Hire offers a Certificate IV in Work Health and Safety (BSB41415) which provides the necessary skills to lead, guide and provide sound WHS advice to your business. Learn how to keep staff safety a priority while advancing your career. For those working in a Work Health and Safety Role, this course will allow education and assistance in providing leadership and guidance to other staff. This course is delivered through our online facility and costs $2,449 while allowing for flexible payment plans. To learn more about fees, rates and required hours, please consult each individual course guide as well as the Indicative Fee Rates for 2019. 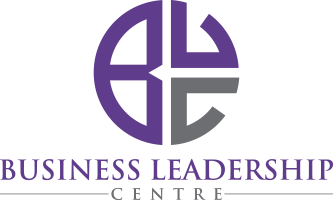 The Business Leadership Centre (BLC) is a trading name of Skill Hire and listed in the training.gov.au website as a trading name.